Conan Reveals Hilarious Young Han Solo "Auditions"
While all of the recent Star Wars news has been amazing and exciting, it's always good to take a moment have a good laugh. The team over at Conan are notorious for bringing the laughs, especially Star Wars related ones. 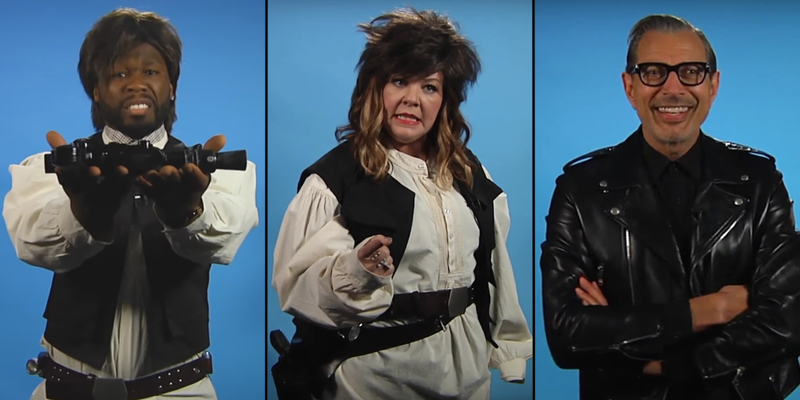 On a recent episode of the nightly talk show, host Conan O'Brien pulled off a hilarious sketch involved the reveal of some "audition tapes" for young Han Solo, obviously in response to the recently confirmed casting of Alden Ehrenreich as the iconic smuggler. The skit featured an assortment of well known actors and comedians, such as Melissa McCarthy, Adam Sandler, Jodie Foster, Jeff Goldblum and many others. Interestingly, Bill Hader was included in the line up, and he actually has a history with Star Wars. Hader, along with Ben Schwartz, worked on Star Wars: The Force Awakens as "BB-8 Vocal Consultants" and helped develop the beloved Droid's unique beeps and boops. Jodie foster can do a good villian on StarWars sequels you thing?